In Early 2014, our 4 year old son Landon came down with a high fever, 104.5, a rash on his upper thighs, and lower back, red swollen lips and blood shot eyes. On our first trip to the ER they said it was probably a virus to keep him hydrated and keep an eye on him. The next day he became very lethargic, so we returned to the ER, they did more blood work and sent us home again. In the next couple of days the fever persists and he becomes more and more lethargic, we returned to the ER for the 3rd time in 5 days, still high fever, lethargic, rash,etc…, at this time they are thinking meningitis, so they do a lumbar puncture a spinal tap, not the results they thought and once again they send us on our way, our child is sent home with a temp of 105, lethargic, rash, red eyes and lips, day eight my wife Sarah returns with Landon to the ER with same symptoms, 4th trip in 8 days, and they were out of ideas and sending him home again , Sarah holds her ground and demanded they have him seen by a pediatrician, the pediatrician reviewed Landon and called Children’s Hospital in Denver , Landon was immediately transferred to Children’s were he was diagnosed with Kawasaki Disease we spent the next week at Children’s getting treated, and he turned around very quickly. Little did we know there was a 10 day window for treatment to be effective, this was day eight and he was nearly sent home again for the 4th time. Children’s Hospital was amazing, we never left his side and they were very much his advocate. We knew nothing of this disease, obviously the ER knew very little, the pediatrician at least knew enough to ask for help, but still not much. 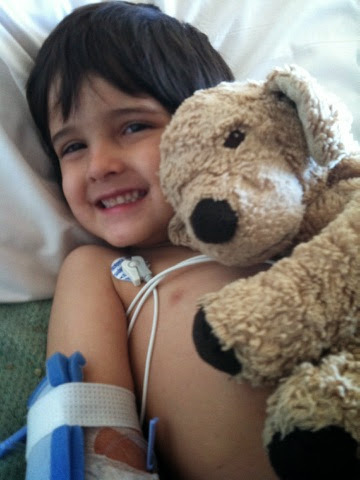 We learned a lot that week, especially how lucky we were that Landon was treated in time to have a very good outcome. After a year of follow up testing, Landon was cleared to see the cardiologist at Children’s just once a year, he had dodged the serious effects of the disease, no aneurysms. Landon was very lucky, WE were very lucky, I had been recovering from a stroke in November of 2012 and its side effects all of 2013, so we had learned patience with doctors, gladly Sarah knew better than to have patience with the ER on the fourth trip , the eighth day, and gladly we were so close to a place where patience wasn’t needed, Children’s Hospital was outstanding.